Unsafe lane changes are a common cause of automobile accidents happening in and around St. Louis, Missouri. 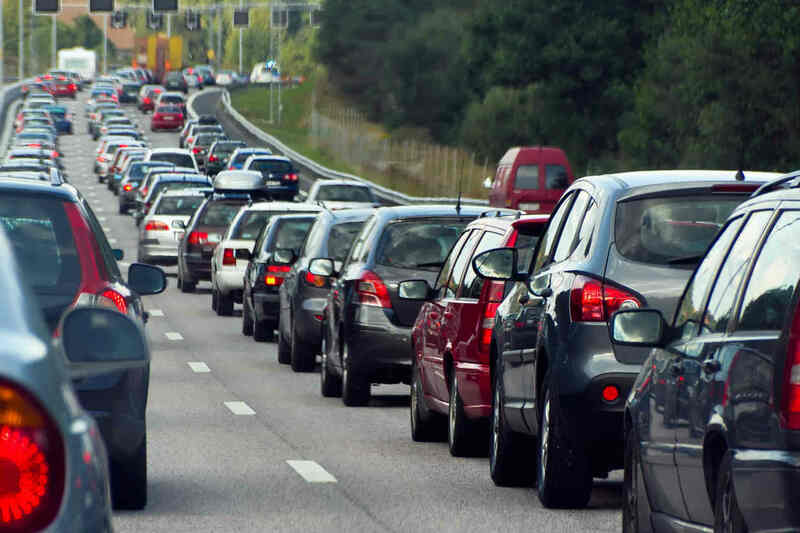 One of the most common causes of auto accidents is unsafe lane changes. Depending on the conditions surrounding this incident, the drivers involved could end up with severe injuries. For this reason, your best bet is avoiding this behavior, especially in the following situations. We’ve all been there before. Whether you’re distracted, don’t know where you’re going, or anything other reason, you find yourself a few lanes over from your freeway exit and only a few hundred feet from missing it. Drivers often start to make rapid, unsafe lane changes in this situation. Doing so frequently leads to a ticket or collision. Similar to a freeway exit, people often miss turns on regular streets. The circumstances surrounding the situation are nearly the same, either distraction or confusion, and so is the hazardous result. If you end up in this situation, remember that missing a turn is not the end of the world. In fact, it should only delay you a minute or two at most. Anyone who drives frequently knows the frustration of being stuck in traffic. Even worse, it often seems like the lane you’re in is going slower than the others around it. In the most extreme cases, you might be entirely stopped while the cars next to you are flowing freely. Drivers frequently make quick lane changes in these situations, but find that the speed of the other lane is too high to fit in to seamlessly. Road rage is one of the most significant driving safety issues, and part of the reason why is that aggressive drivers make unsafe lane changes. Because they want to go faster than the speed of traffic, they may choose to weave in and out of lanes dangerously. One of the biggest mistakes drivers regularly make is not checking their blind spot. Then, when they try to change lanes, they end up colliding with another vehicle. The truth is that any lane change that doesn’t involve checking your blind spot is dangerous, so be sure to always complete that task first. This is the one scenario that may justify an “unsafe lane change”. The reason is that sometimes you must choose a lesser danger over one that is right in front of you. Two typical examples are cars stopping quickly in front of you and debris falling on the road. While a dangerous lane change is never optimal, it might be necessary to avoid a collision. As you read above, avoiding a more dangerous hazard is the only reason why you should consider an unsafe lane change. Aside from that scenario, you should adhere road safety guidelines. Those include checking your blind spot, confirming that you have ample room on all sides of you, using your turn signal, and retaining your speed throughout. Of course, you might act safely but have someone else collide with you. If that is the case, be sure to speak with a St. Louis car accident lawyer as soon as possible.